While I have a strong suspicion that Paxton used his position to push pump and dump stocks, I am against the state bringing in hired guns to try and take away someone’s freedom. Dance with the one that brung ya, meaning, the staff prosecutors should be trying this case. If the staff prosecutors can’t win the case, then maybe they are depending on fancy lawyering vs. actual, “hey, dude’s guilty, here’s the proof” to prosecute Paxton, and that’s just wrong for anyone. How would you feel if that was done against you? This is an example of a case should have never been a criminal prosecution in the first place. This case should have been handled in the civil justice system where responsibility can be appropriately allocated among the various parties involved. @Bill, the “staff” prosecutors had to recuse themselves due to a conflict of interest. The judge in charge then appointed the prosecutors that can’t get paid. If Dan “Despicable Human Being” Patrick and his fellow travellers had not eliminated the Travis County integrity unit that formerly prosecuted government officials who commit crimes, we wouldn’t have this problem. @Tom, just like you were wrong on the Enron prosecutions, you are wrong on this one. 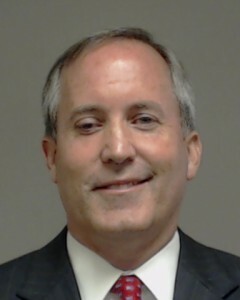 Paxton, like the Enron guys, violated criminal statutes, and deserves to be tried under them. Crooks like Paxton aren’t afraid of the civil courts, but they fear the possibilities of jail and losing their licenses. Ross, virtually every Enron prosecution that resulted in a conviction was overturned on appeal. So, I was wrong about them? Society needs protection from true business crimes, such as embezzlement and kickbacks. But as you know, Mr. Paxton was never accused of such crimes. Rather, Mr. Paxton is being prosecuted for questionable business judgment in connection with promoting an investment. Criminal prosecutions based on such questionable business judgment are problematic because they obscure the key difference between prosecuting questionable business judgments, on one hand, and prosecuting clear-cut white collar crimes – such as embezzlement – on the other. The difference relates primarily to the nature of the evidence involved, the relevance of contracts, and the subtleties of dividing responsibility between the actors. In short, regulation of conduct such as Paxton’s through criminalization is like using a sledgehammer where a precision instrument is needed. And this applies regardless of party affiliation (fyi, I voted for Justin Nelson). I have to agree with Tom here. Let’s talk about the Enron prosecutions. People from Arthur Anderson and Merrill Lynch were strong armed and convicted by Weissman, Mueller’s pit bull prosecutor, then had their cases overturned UNANIMOUSLY by the SCOTUS. Ask yourself how often the SCOTUS agrees on anything. They agreed that people’s lives were ruined by runaway prosecution. Meanwhile, Lou Pai and others in Enron got away clean with their loot. The only real justice that happened in that case was Ken Lay, who did the honorable thing by suiciding himself. Fastow and wife, and Skilling got off relatively easy. Please delete the Ken Lay suicide comment. His death was not ruled a suicide and in any case to say that “suiciding” yourself is honorable is despicable. The Enron prosecutions weren’t based on questionable business judgement, they were based on defrauding investors by flat out lying. Arthur Andersen was a crooked firm that deserved the death penalty it received. Lay died before he was sentenced, but Fastow, Skilling, etc got what they deserved. They were scumbags who ripped off shareholders for personal gain. End of story. Absent criminal penalties, there’s no incentive for scum to not rip off clients or investors, since the civil courts aren’t very good at resolving these issues. I agree that the Enron principals were dirty. The Fastows and Skilling didn’t get NEARLY enough time…..not nearly enough. How many people did they steal from? How many lives did they ruin? They should have died in jail, and Jules, if you believe Lay didn’t kill himself rather than face jail and financial ruin from lawsuits clawing back all his money, well, I’ve got a bridge to sell you. Conveniently dying before sentencing means he’s technically still innocent and I assume that the Lay family got to keep their loot because of that little loophole. A guy that rich can buy off whoever he needs to, least of all some backwater coroner in Colorado, or wherever he was vacationing when he died. I spared you from my real conspiracy theory that he’s alive and living overseas somewhere with a new identity. I’ll just say that the SCOTUS disagreed with that whole “Arthur Anderson was dirty and their people deserved to rot in prison” argument. Bill, spare us all of your comments. You post awful things as fact that you don’t even believe. You post as fact that Lay killed himself when he did not but yet you believe he is really alive. Feckless. If you really are a Republican and not some troll who wants people to hate Republicans because you portray Republicans as not only soulless but stupid then just shut up because you are doing Republicans and humans in general no favors.